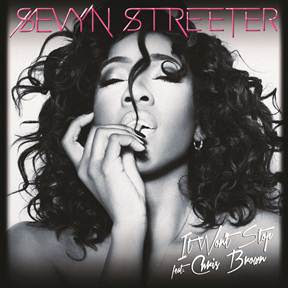 Home / Chris Brown / New Music / Sevyn Streeter / New Music: Sevyn Streeter - "It Won't Stop (feat. Chris Brown)"
New Music: Sevyn Streeter - "It Won't Stop (feat. Chris Brown)"
CBE/Atlantic Recording artist Sevyn Streeter is back with her new single, It Won't Stop (feat. Chris Brown). If you live in Philly, you've definitely heard this song on Hot 107.9! S/O to them! Sevyn is definitely one of the top songwriters in the game right now. Recently, she has written hits like Chris Brown’s “Fine China,” Ariana Grande’s “The Way” featuring Mac Miller, Kelly Rowland’s “Gone” and Tamar Braxton’s new single "All the Way Home.” If you don't know Sevyn, get to know her ASAP!